To be a natural beauty you don’t need to spend tons of time and invest on harsh-chemicals bringing you health hazards. As it turns out to get the sun-kissed glow, indulge in the easily accessible natural beauty treatments to become the best of yourself. Whether you fall in the ‘curious millennial women obsessed with high-end skin care products’ or a ‘self-proclaimed beauty junkie’, we all know that to get the beautiful healthy looking skin we need to eat right. It’s true, in the pursuit of perfect skin the top-shelf make ups can put a good veil on your skin but that is for a limited time-being and you will have to face the consequences of terrible side effects sabotaging your health. Follow our trail which leads to the quest of staying naturally beauty by pampering yourself with what the mother-nature has to offer and thereby living the healthiest life possible. Never take your naturally beautiful skin for granted. Skin not only covers our interior but it also brings multitudes of depth to our appearance. To maintain our healthy skin giving the ultimate luminescent glow, all we need to do is nourish it from inside out by pampering ourselves with natural-friendly moisturizers and cleansers. The Prime way to start with the beauty basic is – facial steaming. Steaming will open up the pores of our skin to let the dirt out and open up for properly cleansing into the next step. The benefits of facial steaming are plenty and can be done easily at home. All you need is a steam and very-clean hygienic soft towels. Boil up water in a pot and once done, cover the pot with the clean piece of towel. Leave it for 2 minutes and gently lay the towel a bit apart from your face. If your skin can stand the steam’s heat then lay the towel directly allowing the steam to get in your pores. Repeat the process twice or thrice and that will be enough to open up the pores and follow the Natural next step of drawing out the impurities. Word of Caution: Some would advocate on directly steaming your face over the boiling water but I, personally would not suggest that. It is harmful for sensitive skin and not just that, steaming your face directly may even cause your skin with red rashes. What does this mean for you? – – – Better be safe and steam your face in the above way. This happens to be the first step of your double cleansing done naturally to break down oil based debris or sebum accumulated inside your pores. We love to indulge ourselves in the luxury of yogurt and yes, we also recommend. Yogurt is known for its exfoliating properties when applied on face and works wonders of detoxification. Gently massage the yogurt on your face to loosen up the accumulated dirt in the clogged pores and then add lukewarm water to emulsify and rinse properly revealing the clear skin. Those of us who are prone to breakouts can bask in the luxuries of coconut or olive oil which are gentle on skin and reveal fresher and brighter skin by clearing out the dead skin cells. While there are plenty of water-based cleansing products out there, we are to share the beauty secret which is not usually shared. Our recipes are 100% natural and works wonder to your skin naturally, quickly and yes, affordably. And no, this time we won’t be suggesting you to make a mask out of oat meal to remove your skin’s impurities because we know it will make things messy. 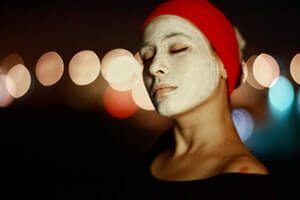 Considering this as our Natural every day routine, we don’t want to suggest any lengthy process and oatmeal mask in spite of doing miracles to skin can be best kept at our ‘night-time beauty regime’ treatment lists. We love to indulge ourselves in the luxuries of rice water and let us share the miraculous secrets of it. Rice water is one of the ancient old secret ingredients to maintain the natural beauty of skin. The rice water is rich in vital minerals and vitamins which aids in promoting cell regeneration while somehow act as the natural water-based impurity cleanser. What you will need is, to simply boil rice and this time think twice before straining out the water. Store the water by straining it out and let it cool down for a while. When cooled apply the water on face and neck in a circular motion and rinse with lukewarm water. This essential step of your Natural skin care regime consists of deeply exfoliating dry skin cells, clearing out the pores and revealing the brighter and smoother skin. We love to indulge ourselves in the luxuries of the Baking Soda and nope it is not dangerous to skin when applied on very minute amount. Gently exfoliate with a very small amount of the black sugar or baking soda focusing on your nose heads and pores and slough away your dead cells. This ultimate prep step of your skin care regime will take very few minutes while repair your skin barriers by rehydrating. We love to indulge ourselves both in the Aloe Vera extract and the rice water’s miraculous properties. However at this step we essentially opt for the Aloe extract since we have already used the rice water’s miraculous properties in the previous step. Simply pat the Aloe Vera extract on your skin and let it get absorbed in for few minutes. Keep it on for some time to work its wonders. With steaming, cleaning, exfoliating and toning done your skin is all set to be pampered and lathered with intensive care and moisturizers. Our Final step of Skin Regime to maintain our beautiful skin naturally is to get our beauty sleep. Well, this must be actually the Natural rule of beauty regime because night times are the times when our skin repairs. So get in to your sleeping-beauty pajamas to get the beauty sleep work its magic to your skin while you drift away in your peaceful dreamland. When K-beauty and J-beauty is taking its hype in discovering completely new skin care product and making the limelight in the biggest beauty trends we found it savvy enough to invest ourselves in non-invasive natural age-old beauty treatments comprising wellness of health and beauty. Best of all, to make our beauty regime more simplified we just couldn’t take ourselves away from some worthwhile beauty minimalist tools that really make a difference when it comes to our skin. Needless to say, we are including 2 beauty tools to our essential beauty – tools checklist. Oh, yes one of them does fall in the J-beauty world of skin beauty! The mighty microdermabrasion machine which will take years off your face! Maybe the technology of this power tool is borrowed from the toothbrush technology – we just don’t know. But what we know is these extra soft cleansing brushes makes radical change to our skin. When the Sonic-system cleansing brushes are loaded with antimicrobial bristles removing the dead patches gently the other ones come with textured silicone pads sweeping away dirt and oil as well as providing our skin with re-invigorating blood circulation and lymphatic flow. Our supreme skin care and beauty regime’s favorite skin care gadget this year is – the microdermabrasion machine. Maybe, we are smart-technology obsessed but investing in this piece of power tool is worth a try. Well, we were able to solve some of our intense skin care problems with just a click. What else could we have done other than include it in our Skin care gadget’s essential checklist and indulge in the comprehensive regimen of this beauty wand aka the- microdermabrasion machine . While yes of course you can go for microdermabrasion sessions twice a month but did you know owning a microdermabrasion machine all by yourself at home can be a worthwhile financial investment? Good News! This beauty machines are now easily accessible and costs way less when compared to all the sessions you will need from the dermatologist’s. Head on to our YouTube channel where our beauty-obsessed editors are spending countless hours of gearing up and investigating this power tool at its best. If you are serious about home microdermabrasion machine then read our some of the best online reviews on At Home Microdermabrasion Systems and Microdermabrasion Kits to help you search for the right machine. 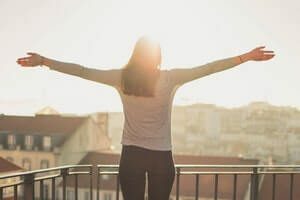 Health and well-being is dependent on each other and this is why when it is about our beauty we always leave it to the nature. It is because the abundance of the nature effortlessly creates the balance of bringing the best to our health and beauty. We love to have our favorite super-healthy breakfast containing best of the best organic and natural food. This doesn’t end here. We also love to take care of our skin by incorporating the natural food source’s properties. It is because the natural food sources provide purity and therapeutic benefits to both our health and beauty together. Combine up the above 3 ingredients in your blender and blend into the perfect creamy smoothie which tastes better than ice-cream and provides you multi-nutrition at its best. Drink up and if you are up for the challenge don your face up with it. You won’t regret and your skin will get the instant hydration and glow. Should we expect any more ideas or health and beauty tips? Be, patient, the reward is worth the wait! Because you can now toss away the toxic beauty products and treat yourself with homemade deliciousness as ………… we put together our comprehensive list of natural health and beauty tips incorporating healthy food with our skin care and beauty. Honey is a natural beauty remedy that smooths away signs of aging and improves skin texture. To incorporate the glory of honey in our beauty regime we prefer honey to provide us with powerful moisturizing effect. So don yourself with a thick layer of honey just after cleansing your best. Best of all, slurp up a spoonful of honey just before going to bed. So what’s all this good for? Well, while your skin is getting the comprehensive moisturizing treatment of honey when applied, taking a spoonful of honey will make you get rejuvenated from the inside. Health and beauty balanced together! Known for its protein, amino acid and essential vitamins we just couldn’t leave the incredible eggs alone. As such we incorporate the Egg white as our cleanser and often times we love to leave the egg white on our face for couple of minutes. Well egg-white is our natural pore-refining mask doing wonders that no other bottled or canned exfoliating mask products can. Eat up the yellow egg yolk to boost up your protein intake and leave the egg white on your face to eliminate blackheads. Once again, it’s a balance between health and beauty at its best. Tomato comes with antioxidant properties and the extracts of Tomato prevent melanin productions. Restore your brightness by applying a thick layer of tomato extract on your skin and while you wait don’t forget to put 2 slices of tomato in your sandwich. Treat your skin and your inner self with all the goodness of tomato. Now that you know, it is no more a secret. Yogurt is the essential ingredient of some of the best K-beauty products starting from mask sheets to wash offs. So why not this time, you rejuvenate yourself at your home by applying a thick layer of creamy yogurt on your face and see the radical change. Oh, and don’t forget to treat yourself with the healthy benefits of yogurt. Packed with calcium and magnesium and as suggested by Oprah Winfrey herself – ‘the best way to get more pro- biotic in your diet is to include yogurt’. Treat yourself in all the goodness that yogurt has to offer.